Partner 1: You never take the rubbish out. I told you to take it out this morning before work. Partner 2: I was running late and forgot. Partner 1: You never do anything. I have to do everything around here. Harsh startups typically start with “You” statements. Words used in harsh startups are words such as 'always' and 'never'. Harsh startups are critical and use contempt. Dr John Gottman’s research demonstrated that the first three minutes of a conversation will be an indicator to how the conversation will end. He found 96% of the time if the discussion starts with a harsh startup it can be predicted that the outcome of the conversation will end as it began, negative and harsh. Both males and females can be responsible for a harsh start ups, however research has shown that women are most likely to bring up the touchy subjects in their relationships in the hope of resolving them, and men are more likely to avoid emotional distress and confrontation. 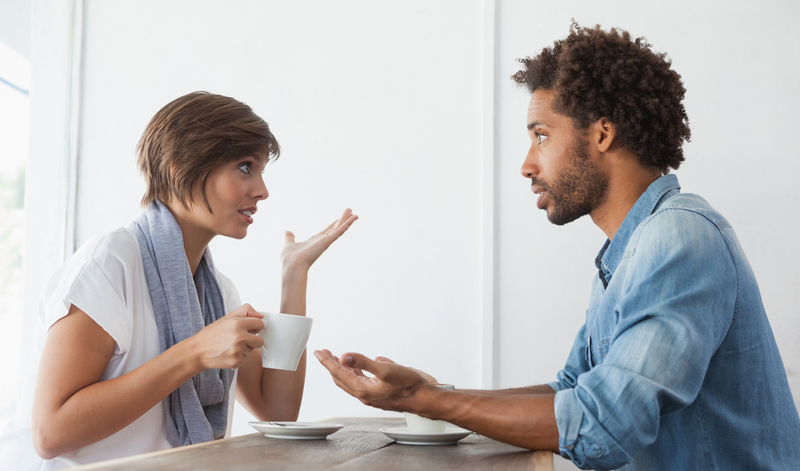 It is important to learn how to express in positive terms what you want from your partner. This is accomplished by learning to use Gentle Startups. Gentle Startups use “I” statements. A good "I" statement describes what it is you need from your partner without criticism and contempt or using a harsh startup. Notice the difference between saying “You make me so angry always leaving those dirty socks on the floor like that” versus “I get angry when I see those dirty socks on the floor like that.” In the first statement you are squarely putting the blame on your partner in a harsh way. In the second statement you are clearly making the socks the issue, not your partner. When we hear that we are the problem, we typically jump straight to a defensive position and the conversation is unlikely to go anywhere good after that. Learning how to leave ‘you’ out of your complaints requires practice and skill. Try making a game of it with your partner, your kids, your friends, it can lead to a lot of laughs.